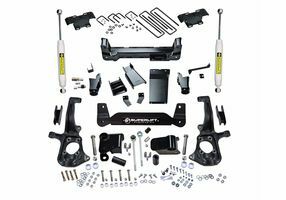 Looking to do more with your Chevrolet Silverado 2500HD? 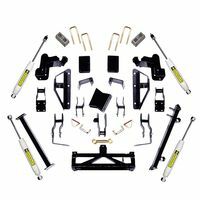 At Superlift, you’ll find everything you need to take your pickup truck off-road. 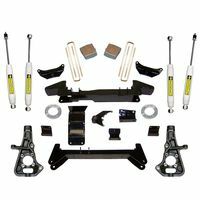 With one of our heavy-duty Chevrolet Silverado 2500HD lift kits, you can customize your truck just the way you like it. We have multiple sizes and styles for you to choose from, giving you the extra ground clearance you need to explore the great outdoors. From long fishing trips to hauling equipment in the middle of nowhere, you can do it all with your Chevrolet Silverado 2500HD. You can also tack on larger tires for more traction. Lift your truck and you’re sure to have the toughest ride in town. There’s nothing like sitting behind the wheel of a lifted Chevrolet Silverado 2500HD. 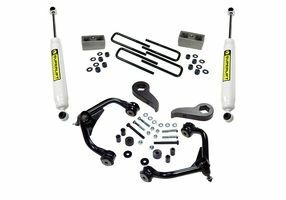 Grab one of these lift kits today and show nature who’s boss.